OTech: IHE 2017: It’s all about device connectivity. IHE 2017: It’s all about device connectivity. for the past several years. 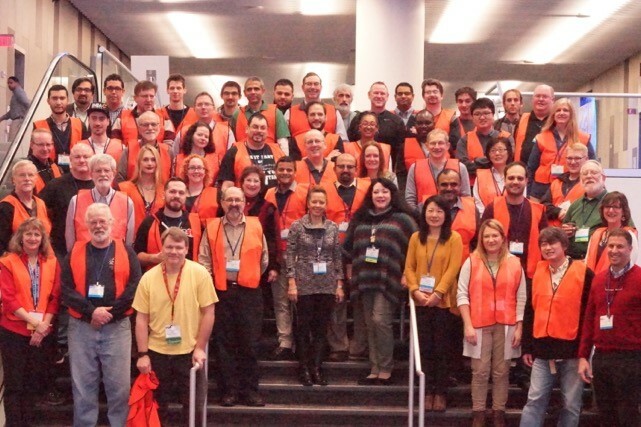 This event brings together 60 plus health care imaging and IT vendors for a week who work collaboratively connecting their systems. There were 115 systems this year, each one prepared to test interconnectivity. The goal is to reduce on-site testing and integration and ultimately advance health IT and patient care. modalities, image archiving systems (PACS), and review stations. Except for any small devices such as monitoring systems and infusion pumps which are easy to carry, the engineers take simulators with them running the same software that would create MR, CT, nuclear medicine or mammography images and simulate the big archiving and communication systems that host the images and results. This big event poses the question; how relevant is the support of these profiles, which are based on standards such as DICOM, HL7 and others, and what does it mean to support these? As an example, last year the emphasis at the connectathon was on testing XDS (Cross Enterprise Document and Imaging Sharing) profiles that have been very slow to be deployed this past year. Yes, most systems now support these profiles allowing information to be shared, identified, and managed between different enterprises, however with the exception of implementations in the UK, there have been relatively few implementations in other countries including the USA. In the US this might be caused by the demise of several public Health Information Exchanges (HIE) due to a lack of funding and failing business models to support these, which basically took away the infrastructure to exchange the information using these profiles. Another barrier is the widespread implementation of proprietary interfaces to exchange these images with many cloud providers. A major trend at the 2017 connectathon has been the emergence of patient care devices and web services, i.e. FHIR and DICOMWeb. The adoption of these standards might be much faster than the ones dealing with image and information sharing as there is a major benefit to be achieved in patient safety and efficiency using intelligent devices. As an example, anyone who recently has been hospitalized and watched what a nurse does every time he or she changes the supply for an infusion pump can attest; all those changes are always entered into the patient record manually. An intelligent infusion pump using IHE will be able to update the patient record automatically, producing major savings in efficiency and a potential reduction of errors, resulting in better patient safety. Another promising area is the upload of images from mobile devices into a PACS or electronic record. DICOM has added web services capability to its standard, allowing a phone app taking a picture, for example for wound care or from a dermatologist, in order to upload these images securely using the widely available web services interfaces. This could become a “killer-app” which will drive widespread implementation. 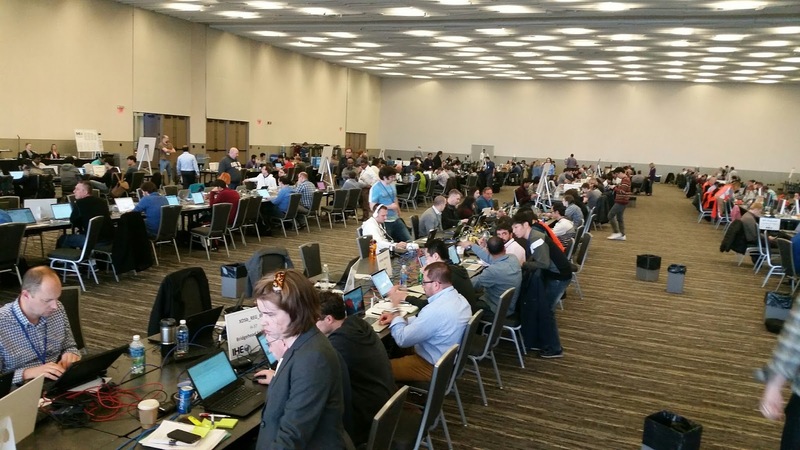 Overall, the connectathon was well attended, albeit with lower attendance than last year (I estimate 10 percent to 20 percent lower). It will be interesting to see next year if this is going to be a trend. This event is a major investment in time and effort. Preparation for it, including the creation of tools for simulators and test sets and performing pre-tests are on an order of magnitude bigger than the actual testing week. It appears that several companies are skipping one year and attend every other year instead of attending every year. For the smaller vendors especially, it is still a major opportunity to test their applications against many of the big players. It also provides a good insight into how robust some of the implementations are as several of them had some major issues when trying to connect. So, overall a successful event, from my perspective it is worth attending again next year. Thank you for sharing this useful story. who want to started their career with Oracle ADF Online Training.